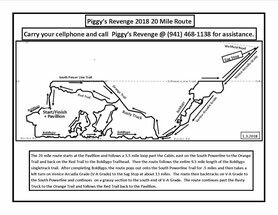 Here are the routes for Piggy's Revenge 2018. Ride them as is or use them as guides to create your own epic ride. The 20 mile route uses all oof Boldlygo plus well groomed grassy doubletrack trails. 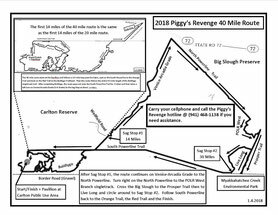 The 40 mile route uses Boldlygo, POLR, Prosper and Live Long singletrack plus a tour of Venice-Arcadia Grade, North Powerline and South Powerline. 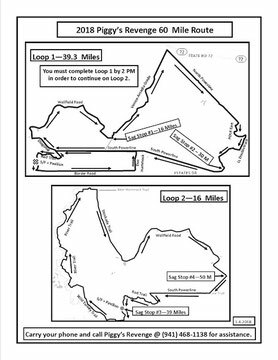 The 60 mile route consists of 2 loops. It is all doubletrack with the exception of 1.5 miles on the East Branch of POLR.